Infinite Art Tournament: The Great Movies: "L'Atalante"
Will check it out eventually. I do love to listen to French being spoken. I wonder why it is hailed so mightily. I have never heard of it. Must investigate. 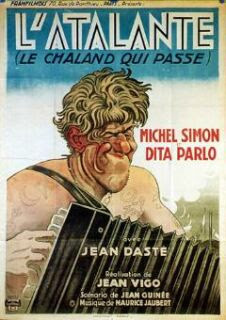 I've been trying to figure out why Jay Leno dyed his hair blond and took up the accordion. I was going to ask the same basic question, only about Bill Clinton.